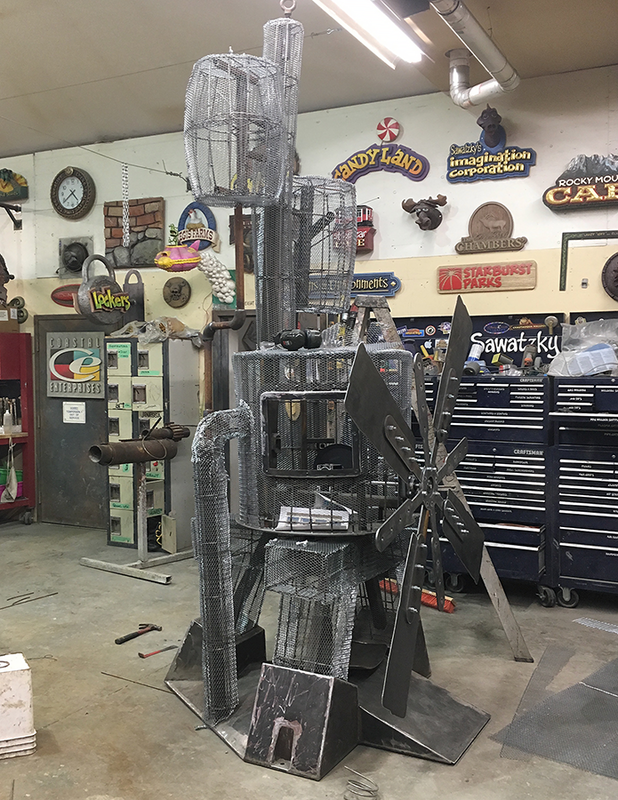 The wiring crew has been pushing the welding crew the past two weeks and many armatures are being readied for the sculpting process. Today the last of the windmill galvanized lath was tied into place. 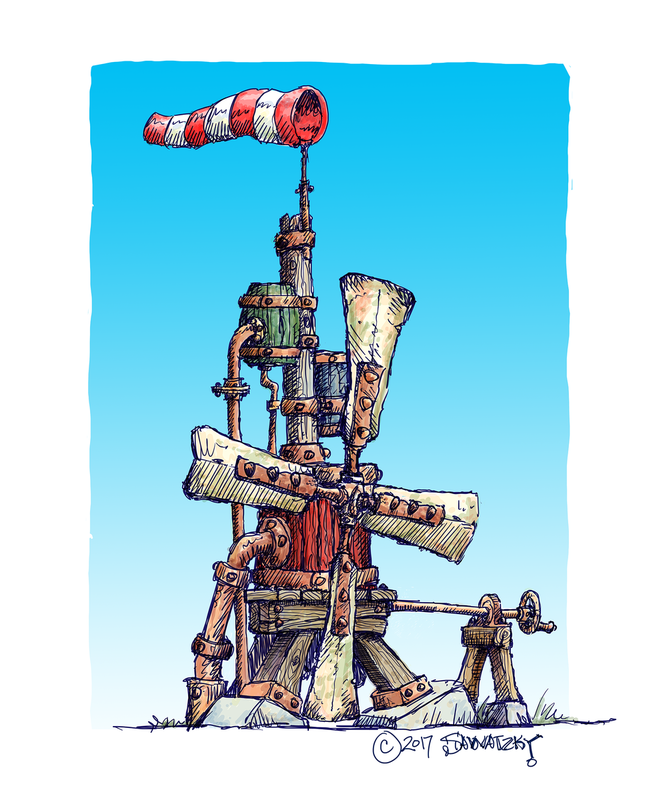 The windmill is starting to look a lot like the concept drawing.